Kai Chang, a genetics, development and cell biology (GDCB) graduate student in GDCB Assistant Professor Hua Bai's lab, recently received a competitive Predoctoral Fellowship from the American Heart Association (AHA). The two-year award begins in 2019 and provides a total of $53,688 in funds. The fellowship aims to enhance the integrated research training of promising students who are matriculated in pre-doctoral professional degree training programs and who intend to pursue careers as scientists or related careers aimed at improving global cardiovascular health. 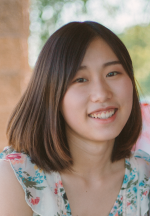 The AHA Predoctoral Fellowship will allow Chang to conduct her graduate research on the understanding of molecular mechanisms underlying cardiac aging.